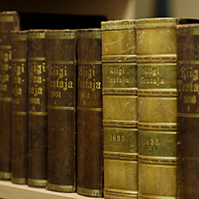 At today's sitting, the Riigikogu passed two Acts. The Act on Amendments to the Securities Market Act made trading on the stock exchange more attractive for small and medium-sized enterprises. The main aim of the Act on Amendments to the Securities Market Act (76 SE), initiated by the Government, is to reduce the administrative burden of issuers on the stock exchange, and another aim is to increase the transparency of the securities market. With the Act, trading on the stock exchange was made more attractive for small and medium-sized enterprises for whom this process together with compliance with the requirements for disclosure of stock exchange information is proportionally more costly than for large undertakings. For example, to reduce the administrative burden of issuers, the term for disclosure of the half-yearly report is extended from two months to three months. The repeal of the obligation to disclose the interim management statement and of the relevant sanction will reduce the frequency of mandatory disclosure of financial reports. 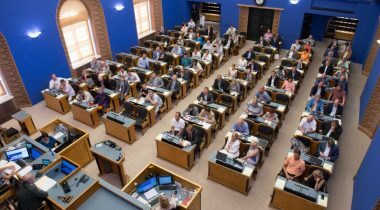 77 members of the Riigikogu voted in favour of the Act, two were against, and there were 3 abstentions. “The Act on the Ratification of “Agreement between the European Union and its Member States, of the One Part, and Iceland, of the Other Part, concerning Iceland’s Participation in the Joint Fulfilment of the Commitments of the European Union, its Member States and Iceland for the Second Commitment Period of the Kyoto Protocol to the United Nations Framework Convention on Climate Change“ (60 SE), initiated by the Government. The aim of the Act is to ratify the relevant agreement which the Republic of Estonia signed in Brussels on 25 February 2015. The Agreement lays out the European Union legal acts that Iceland applies in order to jointly fulfil the reporting and monitoring commitments. The European Union and its Member States assume no additional commitments under the Agreement. 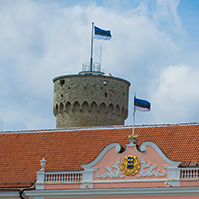 68 members of the Riigikogu voted in favour of the Act, 3 were against, and there were no abstentions. The Bill on Amendments to the 2014−2020 Structural Assistance Act (79 SE), initiated by the Government. The Bill is connected with implementation of European law, and it provides for the procedure for the appointment of competent authorities arising from the Implementing Regulation of the European Neighbourhood Instrument, the specifications of financing agreement, and the provisions delegating authority to establish the Regulations on eligibility of expenditure and making financial corrections. The Bill on Amendments to the Water Act (76 SE), initiated by the Government. The Act will specify the legal acts on hazardous substances, including the definition of the chemical status of a surface water body, and repeal the provisions regulating the establishment of the lists of hazardous substances 1 and 2, and the legal act on the maximum allowed specific release per unit of raw material or production. The Bill on Amendments to the Fisheries Market Organisation Act (101 SE), submitted by the Government. 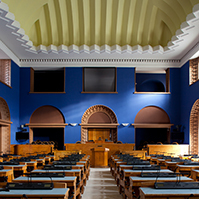 The Bill introduces amendments and specifications in the Act that are necessary particularly for better organisation of the grant of support from producers’ organizations in the fishery and aquaculture sector and from the European Maritime and Fisheries Fund (hereinafter EMFF), and state aid to fisheries. The deadline for submission of motions to amend the Bill is 4 November. The Bill on the Ratification of the Economic Partnership Agreement between the CARIFORUM States, of the One Part, and the European Community and its Member States, of the Other Part (62 SE), submitted by the Government. The Economic Partnership Agreement concerns the trade relations and development cooperation between the European Union (hereinafter EU) and the CARIFORUM region. The CARIFORUM (Caribbean Forum of African, Caribbean and Pacific States) countries include 15 Caribbean states. The deadline for submission of motions to amend the Bill is 6 November. The Bill on Amendments to the Public Information Act and Amendments to Other Associated Acts (71 SE), submitted by the Government. The main aim of the Bill is to enforce the Directive of the European Parliament and of the Council on the re-use of public sector information. In addition, it is intended to eliminate the practical shortcomings that holders of information as well as the bodies exercising supervision have encountered in the exercise of supervision over compliance with the requirements of the Public Information Act. The deadline for submission of motions to amend the Bill is 11 November. The Bill on Amendments to the Code of Criminal Procedure and Amendments to Other Associated Acts which Extends the Rights of Victims in Criminal Proceeding (80 SE), submitted by the Government. The aim of the Bill is better protection of victims and the strengthening of the standing of victims in proceedings. The procedure for proceeding victim’s proprietary claims, that is, the processing of civil actions, is specified. The state will be enabled to file a proof of claim in public law, besides a civil action, as victim in criminal proceedings. 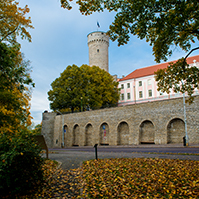 The Bill transposes into Estonian law the EU directive on the right of access to a lawyer in criminal proceedings and in European arrest warrant proceedings, and on the right to have a third party informed upon deprivation of liberty and to communicate with third persons and with consular authorities while deprived of liberty. Andres Anvelt took the floor during the debate. The General Part of the Social Code Bill (93 SE), submitted by the Government. 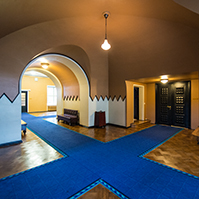 The Social Code establishes the legal bases for protecting the person and the family, by preventing, eliminating or reducing social risks integrally, in particular in the event of unemployment, illness, maternity, incapacity for work, old age, loss of a provider, raising children, falling victim to a crime, special social needs and difficulties in coping. The basic concepts of social law – social protection and benefit, and monetary and non-monetary benefit as types thereof are also defined. The Bill determines a certain principal minimum standard that will be the basis for all social protection activities. The Bill on Amendments to the Social Welfare Act (98 SE), submitted by the Government. The aim of the codification introduced by the Bill is to amend the provisions regulating the assistance obligation of the state and local governments in order to make the regulation of the assistance obligation of public authority more understandable. The Social Welfare Act relies on various constitutional values – the right to assistance in the case of need, the principle of a social state, and the general right to equality that is based on the right to a humane standard of living and the principle of legitimate expectation. 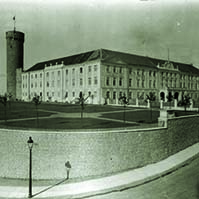 The state duties are payment of subsistence benefit, payment of the needs-based family benefit, provision of rehabilitation service, provision of special welfare services, provision of childcare service, provision of substitute home service, provision of appliances, payment of social benefits to persons who have settled in Estonia, and payment of the fee for the care for the child in another family. Peeter Ernits, Monika Haukanõmm, Henn Põlluaas, Helmen Kütt and Jüri Jaanson took the floor during the debate. The opposition moved to reject the Bill at the first reading. With 8 votes in favour and 30 against, the motion was not supported.